Confused about when to start your baby on solids? The World Health Organisation (WHO) and the National Health and Medical Research (Council) recommend the introduction of solid food for your baby to start at around 6 months of age! It’s important to recognise when your baby is ready to start solids in addition to breast milk or formula. 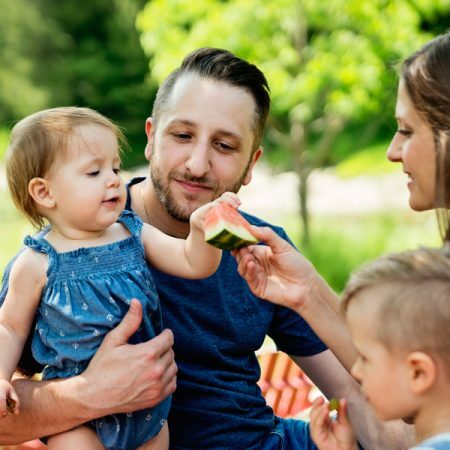 This page will outline the signs that your baby is ready and why it’s important to introduce a variety of foods at the appropriate time in your baby’s life. Why is introducing solids alongside breast milk or formula important at 6 months? In the first 6 months of life babies get all they need from breast milk (or formula). However around 6 months of age their appetite and nutritional requirements are no longer satisfied by breast milk or formula alone. Stores of iron and zinc can begin to decline in exclusively milk-fed infants (both breast and formula). 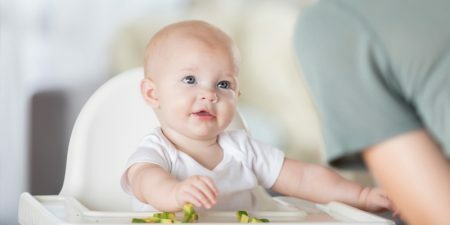 As babies move towards 6 months they will start to display signs that they’re ready to start solids and their digestive systems are more developed to help them digest foods better. 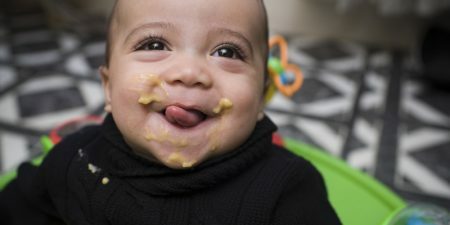 Starting solids too early may pose a risk of choking, increase their risk of food poisoning, be risky for baby’s kidneys, can lead to poor digestion or constipation and may decrease mum’s breast milk supply. On the other hand, starting solids too late (after 6 months of age) may slow a baby’s growth, increase the risk of iron and zinc deficiency, delay oral development or cause bubs to dislike solid foods. How do you know your baby is ready to start solids? There are three clear signs that together show your baby is ready to start. Baby can hold their head steady and stay upright in a sitting position. Baby can pick up food and coordinate movement to the mouth all by themselves. Baby can swallow food because as they stop pushing food out of their mouth. Babies who push food out are not ready. Baby shows an interest in what you’re eating. Baby might try and grab your food. Some babies may be slower than others in learning how to handle food in their mouth. If this is the case, offering a variety of textures from smooth to soft finger foods may help. Sometimes parents may not interpret the signs baby gives correctly, such as increased feeds, chewing on their fist, waking up in the night as signs they are ready for solid foods. These are normal infant behaviours as they grow and develop. It doesn’t necessarily mean they’re ready for solid foods. 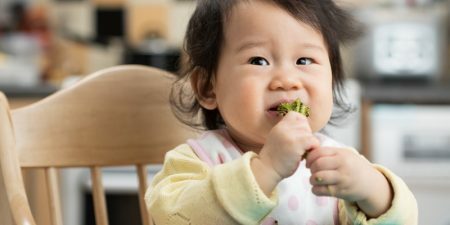 What age should a baby be introduced to solids? WHO and NHMRC recommend around 6 months as the age to introduce of solids. What are the signs my baby is ready for solids in addition to breastmilk or formula? Baby can hold their head steady and stay in an upright sitting position, baby can coordinate movement of picking up food and putting into their mouth, baby can swallow foods and baby shows an interest in what you’re eating. 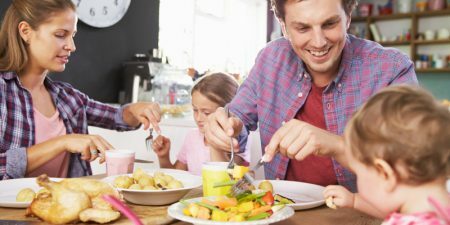 Eating well in the first year by First Steps Nutrition Trust click here. Infant Feeding Guidelines by the Australian Government Department of Health and Ageing click here.